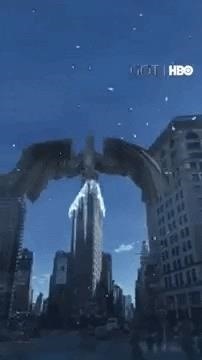 After debuting a Game of Thrones AR experience at SXSW, HBO has now taken advantage of Snapchat's new Landmarker technology to promote the forthcoming final season of Game of Thrones, which airs on Sunday. 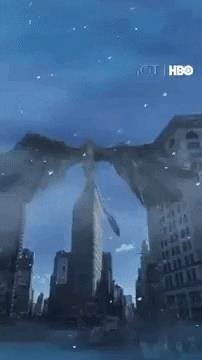 The AR experience brings a virtual dragon to the Flatiron Building in New York for users in the vicinity. 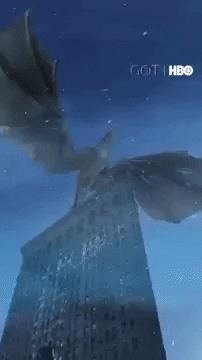 As virtual snow falls in the foreground, the massive dragon flies into view and perches atop the famous wedge-shaped building. 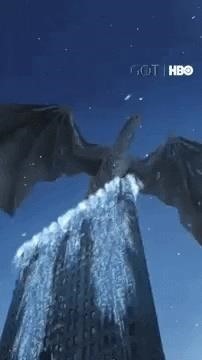 Once the great beast lands on the roof, ice begins to envelop the top floors, which (SPOILER ALERT) confirms that this dragon is Viserion, who perished and then was turned into a white walker by the Night King. "This fusion of Game of Thrones with a real cityscape shows the potential of our Landmarker tech as a powerful new creative frontier," said Leah Rubin-Cadrain, creative lead for entertainment at Snap, in a statement provided to Next Reality. So, for now, the answer to the question "Where are my DRAGONS?!" is New York. However, for those not in the Big Apple, a Snapchat Lens will be available. According to Variety, the landmark-agnostic experience will also be available in 10 US markets. Snapchat unveiled the new AR technology at its Snap Partner Summit on April 4. Landmarker AR templates are available in Lens Studio for the Flatiron Building as well as Buckingham Palace in London, the Capitol Building in Washington, DC, the Eiffel Tower in Paris, and the TCL Chinese Theater in Los Angeles, with more locations to come in the future. Snap's Landmarker AR tool uses point cloud data generated from Our Stories captured by Snapchat users, enabling the experience to adjust to different vantage points. Given the rise of Facebook's AR platform, along with the mobile AR toolkits from Apple and Google, all which give developers the keys to build their own AR experiences, Snapchat faces constant threats to what has become a critical pillar of its business model. However, with its continued innovation, the company is demonstrating that it has the technical capability to keep pace as the industry speeds towards our inevitable AR smartglasses future.